I’ve been going back and forth all day as to whether or not to write this article, but a good writer would report on something even if they didn’t agree with it, so here I am. In a recent interview, both Nintendo President Tatsumi Kimishima and Legend of Zelda Director Eiji Aonuma made it clear that while the Nintendo Switch has elements of both a console and a handheld, the dedicated handheld market probably won’t disappear. 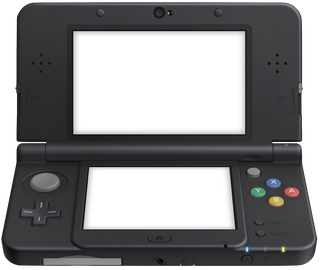 Mr. Kimishima stated that a successor to the 3DS could happen. The keyword there is “could.” Basically what he’s saying is that while they have no successor to the 3DS in the pipeline now(Though research is more than likely going into it. ), it could happen later on down the line. Currently, the 3DS and 2DS are selling rather well and the sales projections for the 3DS went up from 6 million to 7.2 million for this year. That’s not bad for a 5 year old system that will be turning 6 this year and if they hit that number it will bump the number of 3DS’ from 65 million to 71 or 72 million. A very respectable lifetime sales number. If you’ve read any of my previous articles, then you know how I feel on the subject of the 3DS getting a dedicated successor. It doesn’t sit right with me because the Switch, by its very nature, is both a console and handheld, though it is marketed as a console that happens to be portable, which is why I was happy that Mr. Aonuma admitted that it is technically both because of its portability. If they released a dedicated handheld, it will split Nintendo’s IP’s across two platforms again, or increase development costs because any franchises that made the jump to Switch would need two versions if the dedicated handheld is weaker than the Switch. Now, if I had to guess, Nintendo is taking the GameBoy to DS approach here(Long story short: The GameBoy Advance SP was set to get a successor even with the DS releasing, but the success of the DS moved it into the successor spot and the next GB was secretly canned.). The reason they say “could” is because they want to see how the Switch sells, how fast it’s adopted. Depending on sales of the Switch, it could in fact replace the 3DS itself and Nintendo will then move forward with a single platform rather than two. If it fails however, or Nintendo views it as failing in some way, then I could see them releasing a dedicated successor to the 3DS because they have proven success there. The middle ground I guess, and one that I would in all honesty be satisfied with, is if they spun-off a Switch dedicated handheld. Just sell the console by itself without the dock. Just the console and the two Joy-Cons. you take the $90 dock out of the equation, the price drops, and boom you have a handheld and you can upgrade by buying a dock later, like an entry level SKU. That would make sense to me, but I imagine that isn’t what fans of dedicated handhelds would want since the form factor of the console itself would be identical. Sorry to say, but I’m not sure you could make the Switch any smaller than it already is and still get all that power, which is why I’m skeptical about a 3DS successor equaling or surpassing the Switch in power, which is something I feel it would need to do so that owners of one or the other could get the same experiences.